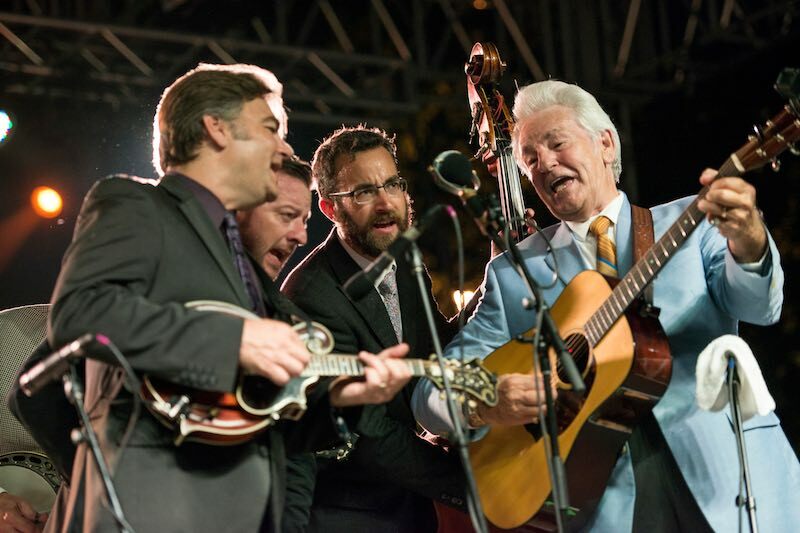 The International Bluegrass Music Museum’s 14th annual ROMP Festival saw record attendance numbers last weekend with more than 26,000 people packing in to Owensboro, Kentucky’s Yellow Creek Park for the four-day event. Saturday night hosted the largest number of festival attendees, with close to 9,000 individuals filling the main festival field to see headline acts, Nitty Gritty Dirt Band, The SteelDrivers, and Keller Williams’ Grateful Grass. This weekend proved once again that ROMP is about community, connection, and celebrating everything good about bluegrass music and Owensboro. Thanks to the many organizations and individuals we collaborate with, Owensboro is a great host to those visiting and seeking the ROMP experience – Museum Director, Chris Joslin. Festival attendees traveled from 39 states and four countries outside the United States for the four-day event – Australia, Switzerland, Great Britain, and Canada. Close to 2,000 ticket buyers chose to utilise the on-site camping option, including nearly 300 RVs. Close to 200 volunteers and full-time staff members were on hand throughout the weekend, providing attendees with parking instructions, shuttle services and clean-up for the park. Dates for ROMP 2018 will be released soon. The International Bluegrass Music Museum is a 501c3 non-profit in Owensboro, Kentucky focused on gathering, preserving, exhibiting and disseminating the artefacts, history, collection and performance art of the global history of bluegrass music through an educational experience. Formed in 1991, the IBMM is currently constructing a new building in downtown Owensboro, KY along the Ohio River. Just three blocks west of the current location, this new facility will double the museum’s exhibit space and incorporate a 450 seat theater, an outdoor performance area, expanded research library, rooftop restaurant and much more.